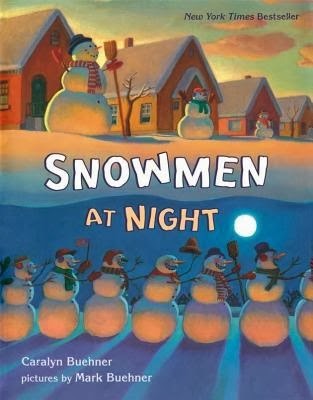 Snowmen at Night by Caralyn Buehner, illustrated by Mark Buehner (Dial, 2002). This rhyming story about what snowmen do at night works with a wide range of ages. Those crazy snowmen get up to all kinds of things once people go to sleep - snowman races, sledding, snowball fights, and drinking ice-cold cocoa, of course. This was a fun one since we recently had some snow (fairly rare for us in Southern Indiana), so many of the kids had build snowmen or gone sledding or something. It's a Tiger! 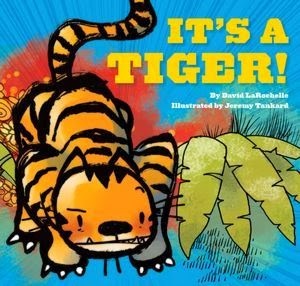 by David LaRochelle, illustrated by Jeremy Tankard (Chronicle Books, 2012). This one's all in the way you read it, I think. I told the kids we're going on an adventure together and whenever that tiger comes up, I scream my head off. This was a fun, funny one and I love the colorful illustrations. I'm a Frog! 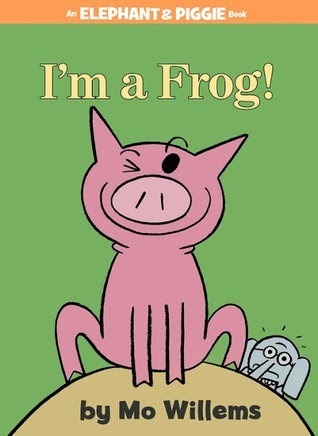 by Mo Willems (Disney-Hyperion, 2013). By popular demand! We have made little Elephant and Piggie fanatics of all our Afterschool kids, I think. These books just lend themselves to reading aloud. This new E&P stars Piggie pretending she's a frog and Gerald trying to figure out why Piggie is suddenly a frog (she looks like a pig...). Another rollicking good time. 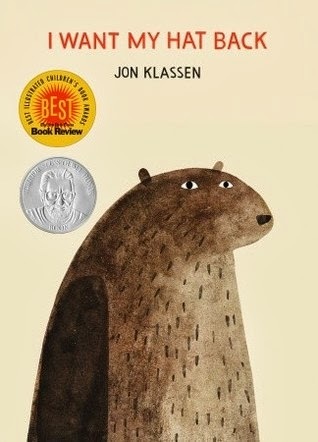 I Want My Hat Back by Jon Klassen (Candlewick, 2011). I had read Klassen's This is Not My Hat with them last year, but realized that I hadn't brought this first book! They really enjoyed this funny story. Illustrations are very important to getting the jokes, so make sure everyone can see! This month's craft was snowman scratch-art ordered from Oriental Trading. The kids looooove scratch art and would happily do it every single time. I had a ton of kids wanting to do this craft. I always debate with myself over whether we should be switching it up every month (like we're doing now) or just give in and order scratch art every month. I guess my fear would be that if we have budget cuts, we may not be able to order scratch art at some point, so I don't want them to be counting on it. But maybe that's just not a good way to think about it! Fancy Nancy Books "For Boys"